The Western end of the parish of Claregalway is low and extends in to Lough Corrib. Most of this low ground is bog and is in the following town lands; Curraghmore, Montiagh North and Montaigh South, Gortcloonmore, Waterdale, Gortadubha, Cloon, Cahergowan and Pollachrevagh. 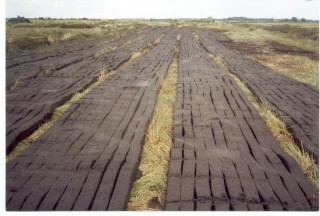 Bogs were the main source of fuel in the Parish up to recently, but in recent years people rely on other sources of fuel such as timber, oil and gas. Many people still cut turf in the bogs. However, now turf is cut by a machine and a lot of the heavy labour involved in cutting and spreading is gone. 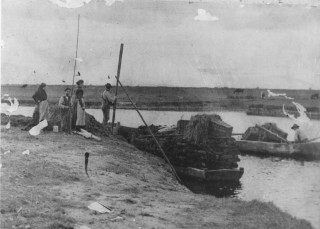 In the past cutting turf was a very big event. This involved 1 man who cut the turf with a Slane. There were 2 helpers for spreading, each spreader would load the freshly cut turf onto a wooden wheel barrow and he or she would wheel out the wet turf onto dry ground. Usually turf cutting was done early in May and the weather was very important as you needed dry weather to dry the turf. 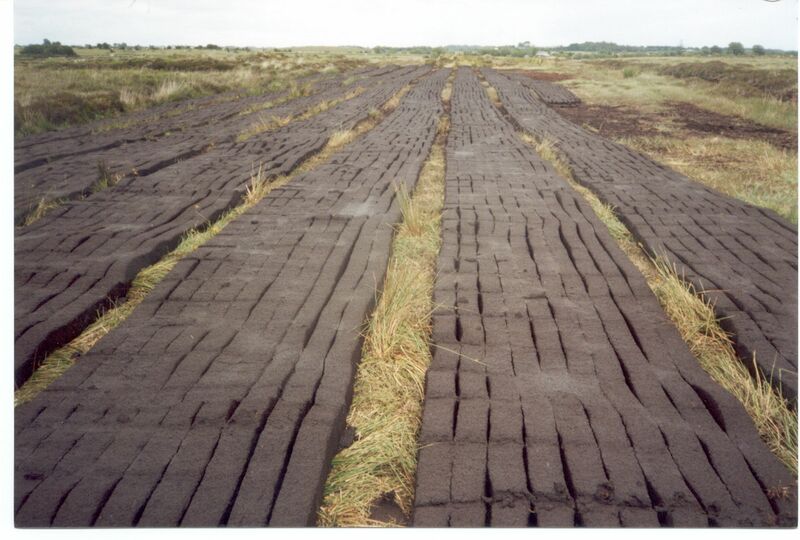 After the turf was cut and spread, you had to wait 2-3 weeks before the turf could be footed into ‘gróigíns’. 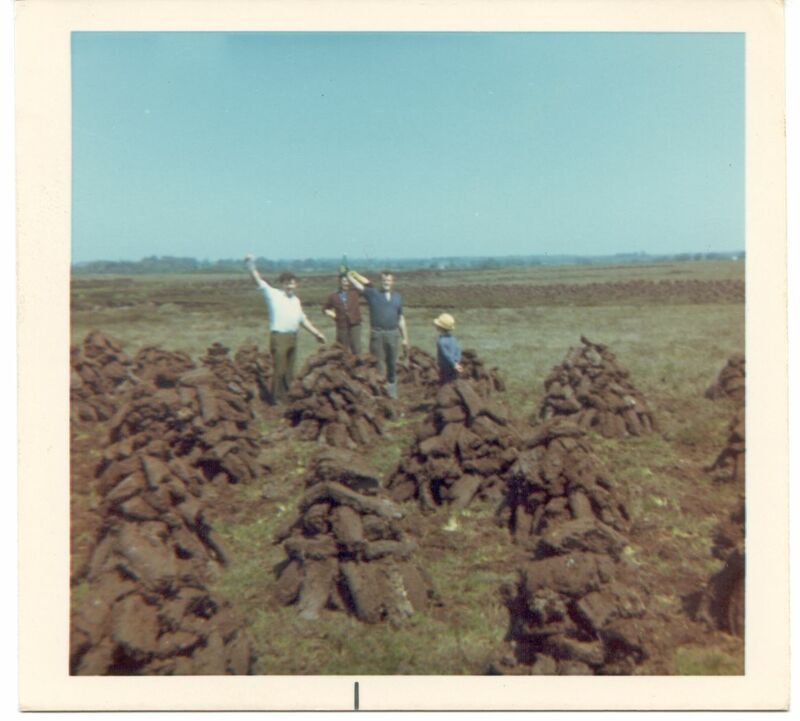 Gróigíns are 6 or 7 sods of turf standing on there ends’, this gave them a better chance to dry. After another few weeks, you re-footed the turf or ‘ath gróigín’. You then left it for a few more weeks then put it into a ‘ducháin’ which was a much larger heap of turf (clamp). After a few more weeks or months, the turf would be dry and fit for burning so it was taken home by horse and cart and piled into a very big heap beside the house called a ‘reek’ or ‘crúach mona’. The outer part of reek was done neatly and this was called a ‘graíbh’. A day on the bog during the summer was a great occasion. For lunch, you had a picnic everyday and then after the picnic the older people would visit their neighbours in adjoining bogs and have a chat. Meanwhile the young people would start playing, flinging the soft bog at one another, same as firing snowballs, so you could finish up after the older people came back to work covered in mud. That part of the past has gone now since the machines took over. 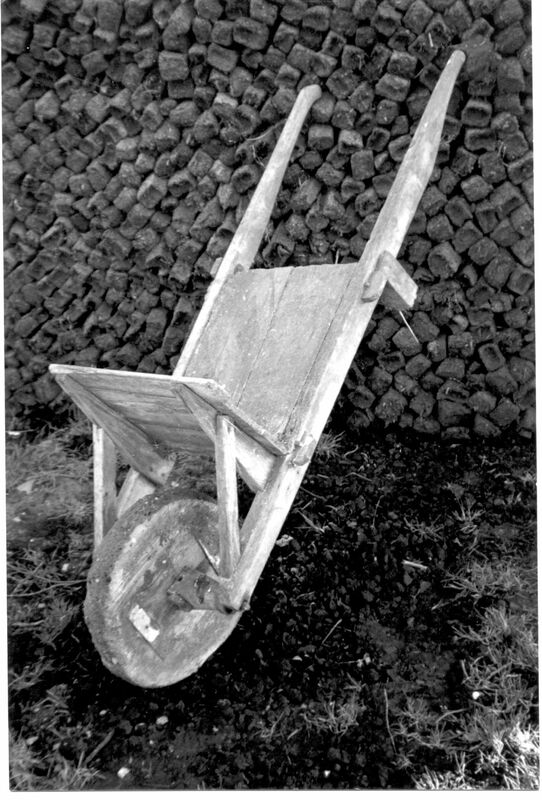 The first turf cutting machine came to Claregalway Bogs about 1965 and this reduced the work load as the machine also spread the turf. 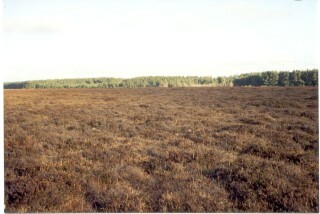 Some bogs are now cut out. Waterdale and Gortadubha are 2 Bogs in the area where turf is no longer being cut. A cut away bog is a haven for wildlife such as wild duck, water hens, swans and other birds and also otters and hares etc. Bogs are very wet places and you would need to be careful when walking as you may walk into a bog hole left after cutting turf. 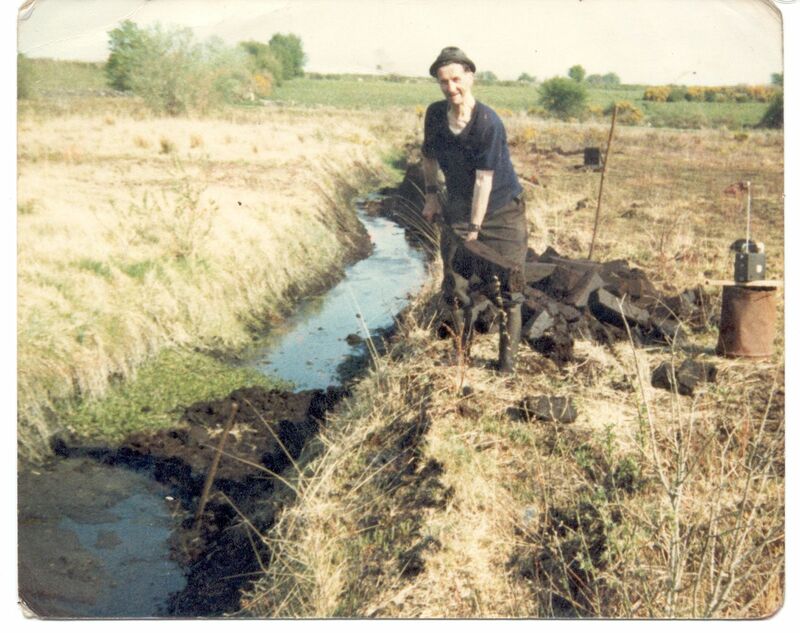 Coillte planted trees in 200 acres of cut away bog in Montaigh North in 1963 and in 2001/2002 they cut away all the trees again and the timber was used for making chipboard and stakes and other timber products. The trees were cut by a big machine while another machine transported timber to the side of the road and a large truck came and loaded timber and took it to a sawmill. After all the timber was cut and removed from the bog it was replanted and is now growing again. This page was added on 18/01/2017.